The Jeep Wrangler has a long history of being a vehicle that we’ve known we can trust to handle the roads and the trails. This SUV is offered with more choices for you to enjoy the 4WD capability and the travels you’ll experience out on in the wilderness. This vehicle began as the Army GP during World War II and has carried the original wheelbase and qualities to the market to make this the model that we see today and enjoy driving in the Dania Beach area. If you’re looking for the SUV that provides you adventures that are limitless the Jeep Wrangler is the right choice for you. It’s nearly impossible to see this amazing SUV and not admire what it has to offer and wonder where the driver is headed for their next great adventure. If you’d like to have the ability to experience the off-road fun that is available on the trails around Dania Beach you need to see the team at Massey Yardley Jeep Chrysler Dodge Ram in Plantation, FL and pick out the right one of the Jeep Wrangler models for you. The current model year version of this amazing SUV brings you qualities that add more to the list of items you want when you’re ready to take this beauty out for a spin. Some of these upgrades include new LED headlights and fog lights which are optional on the Sport and Sport S model while being standard on the Sahara and Rubicon models. There is also a new Cold Weather package offered on the Sport S and Rubicon models of the Jeep Wrangler in case you choose to take this SUV out form the Dania Beach area so that you can experience this impressive package in areas where snow and ice can happen on a regular basis. When you mention the Jeep Wrangler, those that know what this amazing off-road SUV can bring know the 3.6-liter Pentastar V6 model is an engine that provides you with the power you’re looking for and the ability to handle the trails you’re going to ride on. This impressive model is also offered with the commanding off-road capability you want to make sure you can head out into the wilderness around Dania Beach and know this vehicle will be protected and allow you to have the features you need to get you back home. 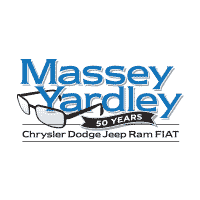 Make your way to the dealership of Massey Yardley Jeep Chrysler Dodge Ram in Plantation, FL and let this be the place you choose the Jeep Wrangler you need to drive and experience on the roads and trails in the Dania Beach area. Come in and let this team help you choose the trim level that’s going to be the right one for you to start having the adventures you want in the area you live in so that you can reach locations that are only able to be accessed by model that carry the 4WD capability this SUV brings to the market.